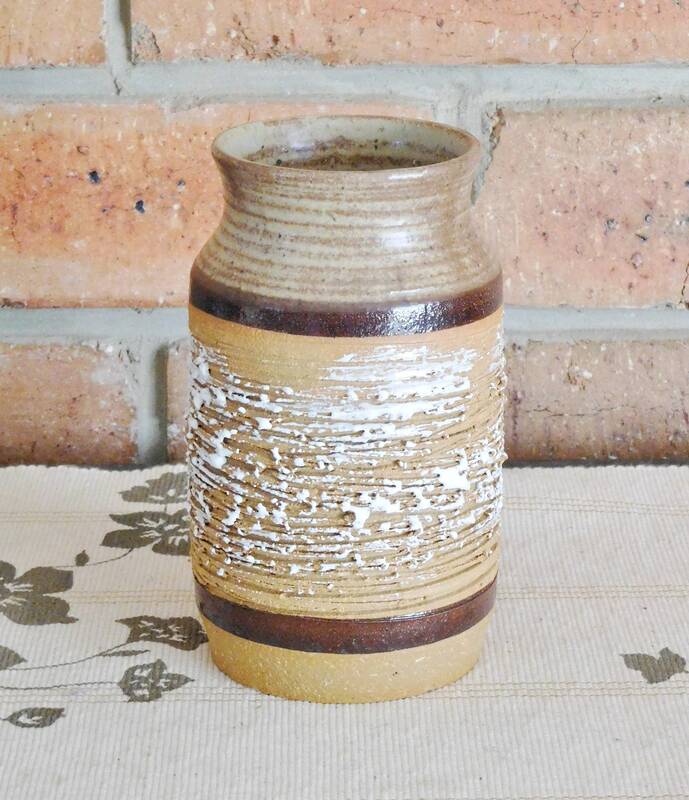 Vintage earthenware pottery vase, white drip glaze pattern, part of the owner’s family since the 1970s. 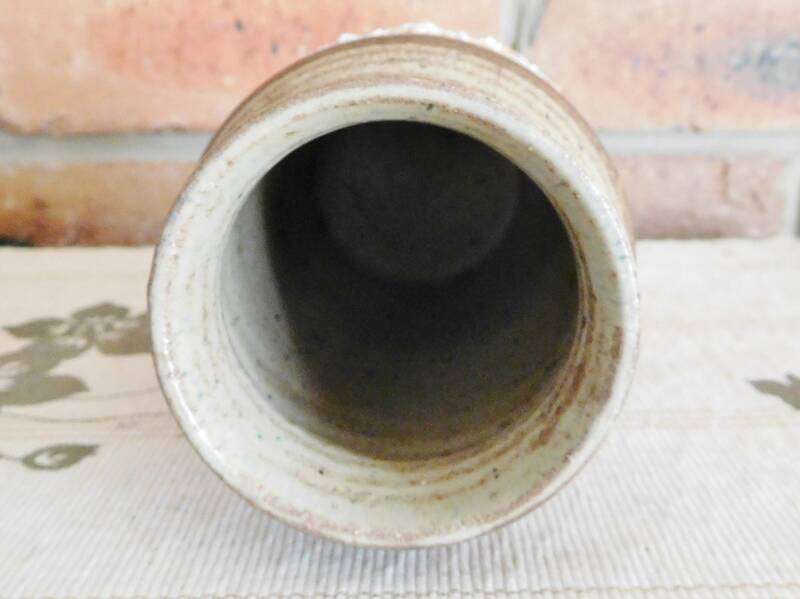 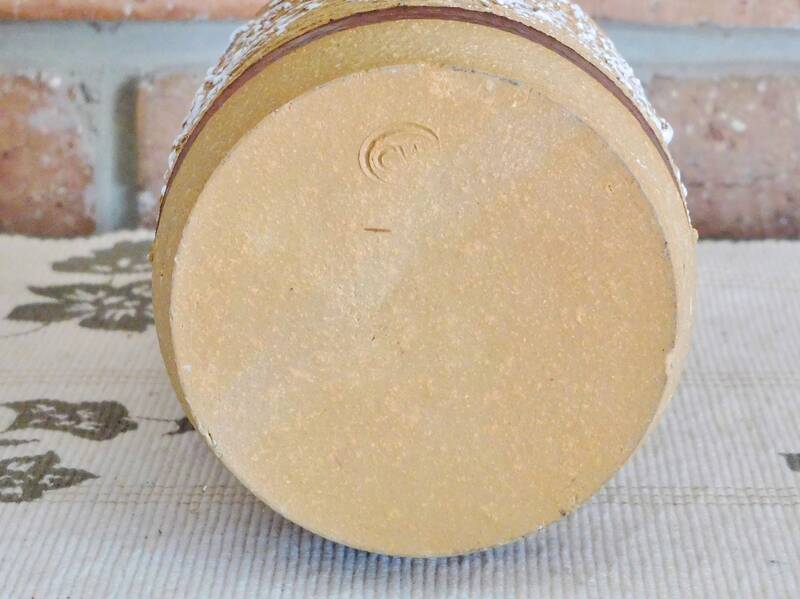 The base is imprinted with the initials ‘CW’ inside an oval... we have been unable to trace this mark, however we are quite confident in stating this is an Australian piece. 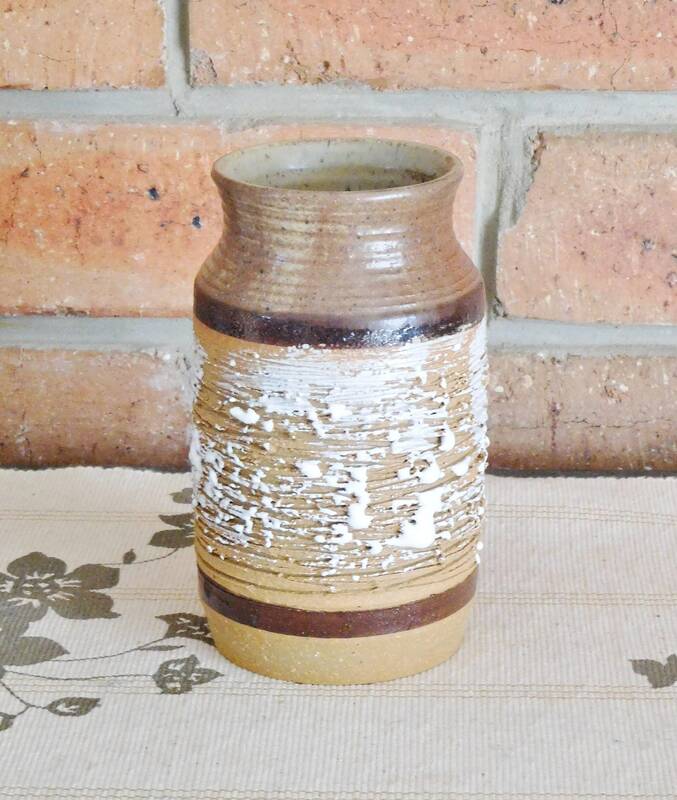 The vase measures approximately 15cm tall and is in perfect condition.